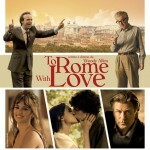 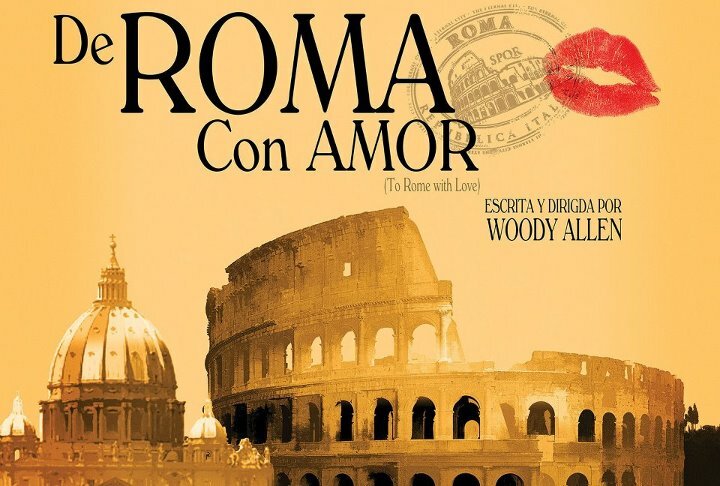 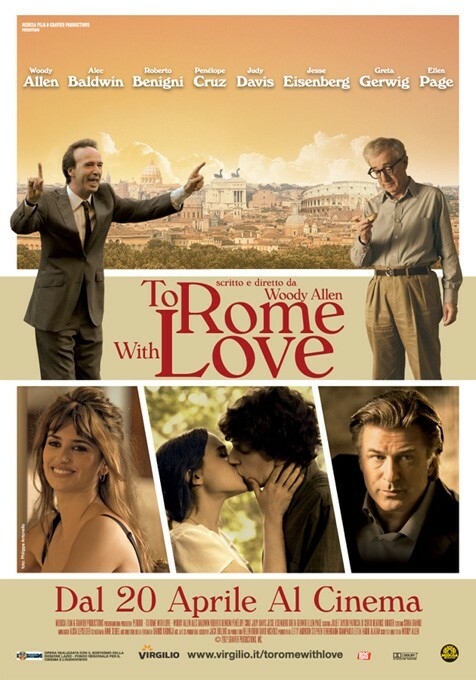 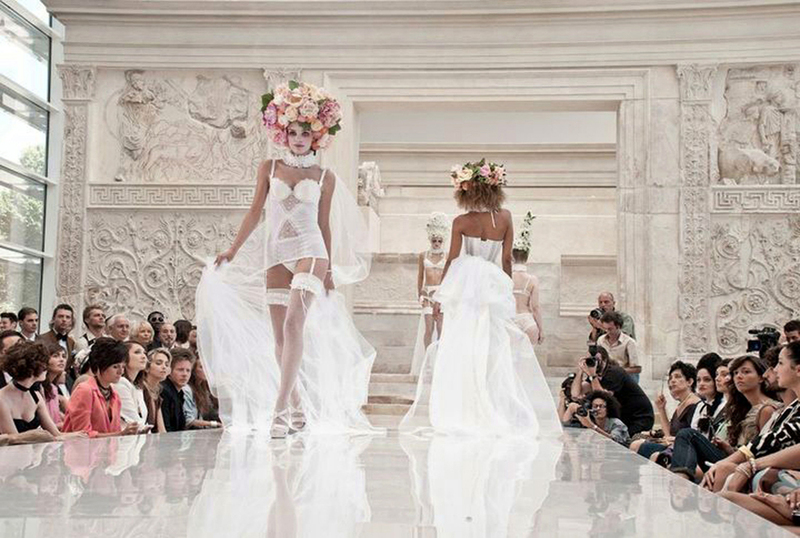 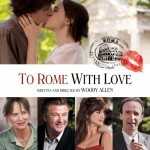 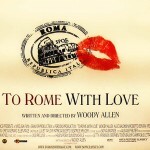 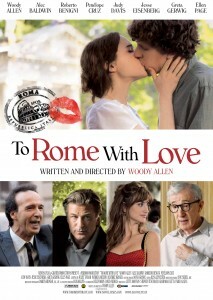 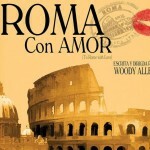 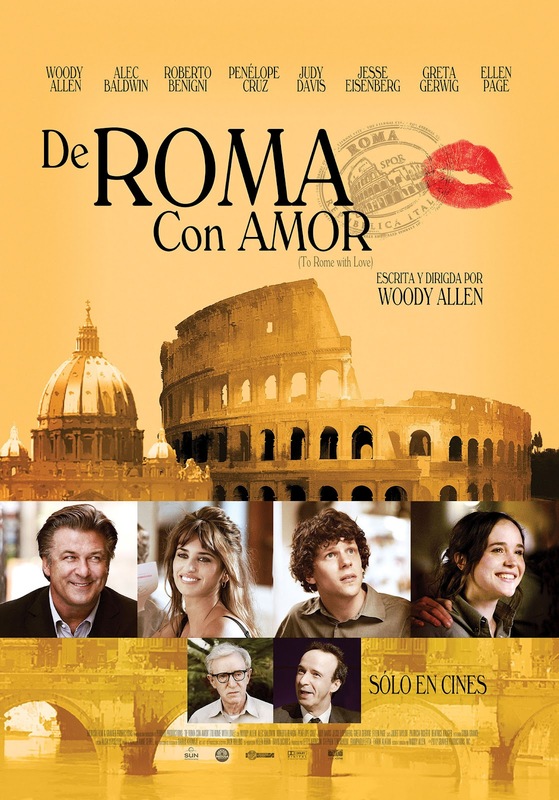 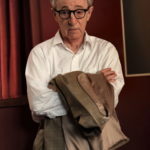 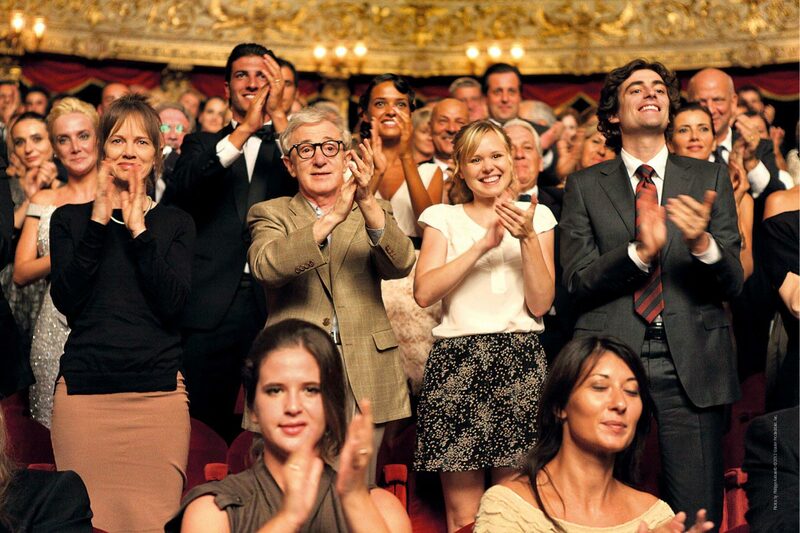 ‘To Rome With Love‘ is the 42nd film to be written and directed by Woody Allen. 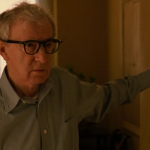 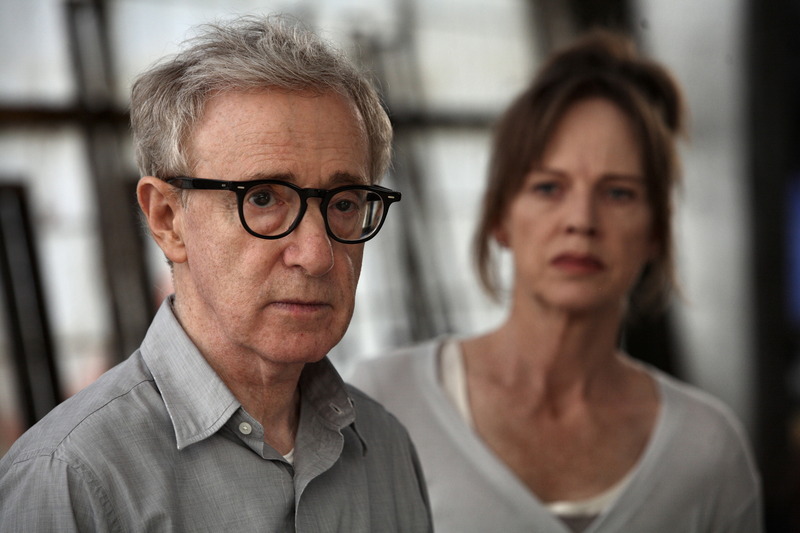 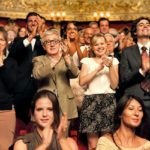 It is the first Woody Allen film to be made in Italy. 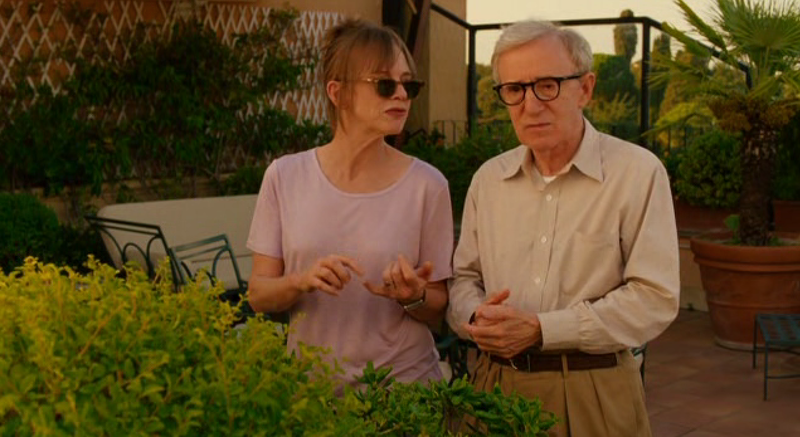 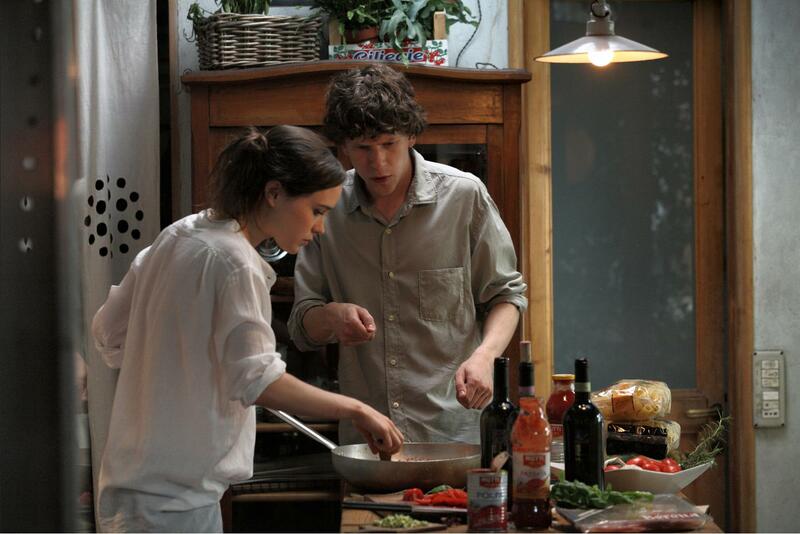 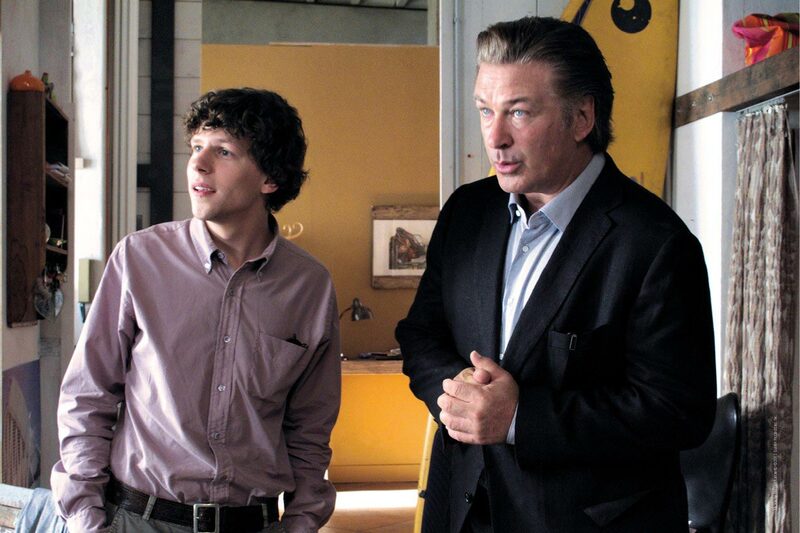 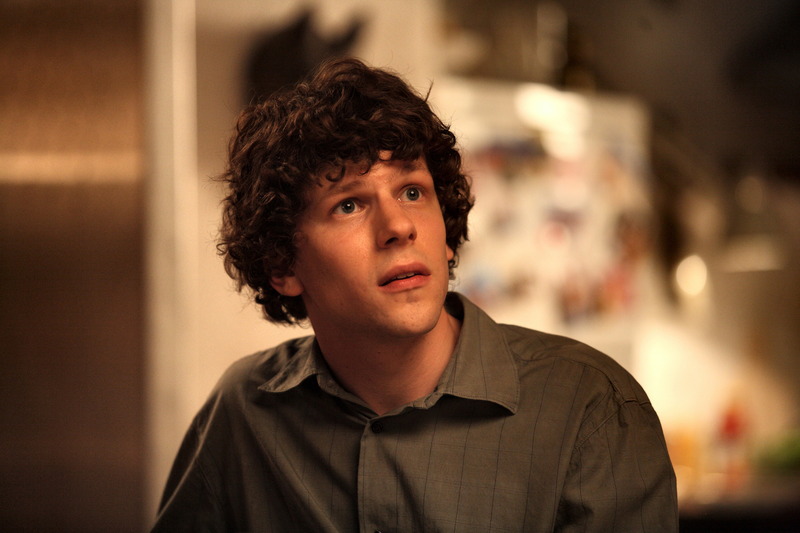 It stars Ellen Page, Jesse Eisenberg, Alec Baldwin, Penelope Cruz, Greta Gerwig, Roberto Benigni, Judy Davis and for the first time in 5 films, Woody Allen himself. 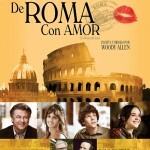 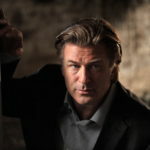 It continues Allen’s fascination with Europe, having filmed in London, Paris and Barcelona in the last decade. 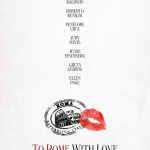 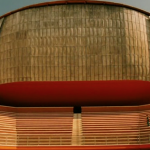 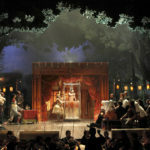 An anthology film of four farcical a romantic stories, including a man who can sing opera in a shower, a man mentoring a young tourist on love, a newly married couple getting lost in Rome and a man who finds himself suddenly famous. 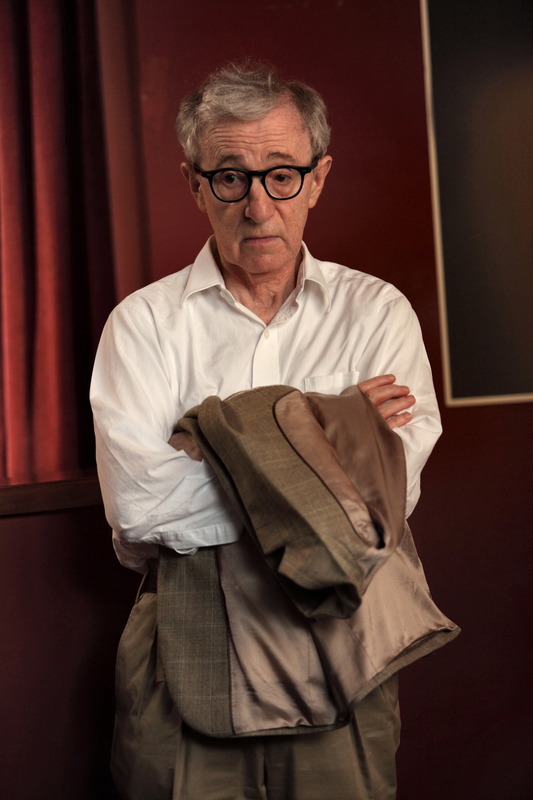 Woody Allen as Jerry in ‘To Rome With Love’. 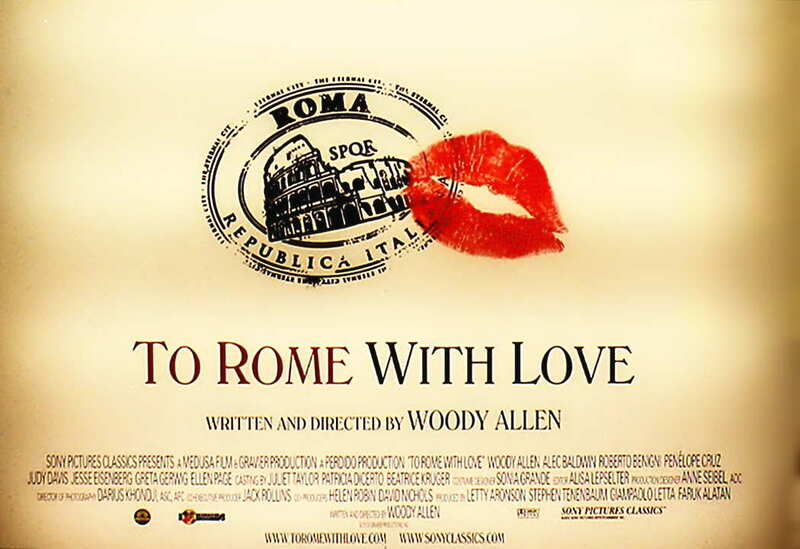 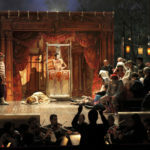 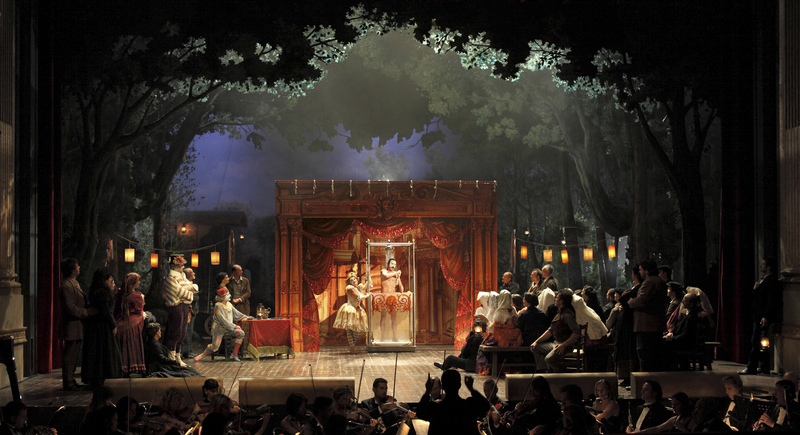 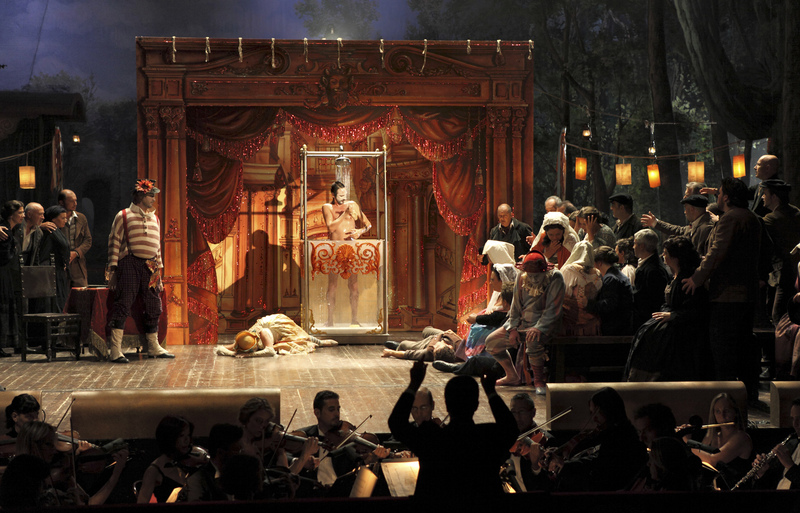 Working titles for the film were ‘Nero Fiddled‘ and ‘The Bop Decameron‘. 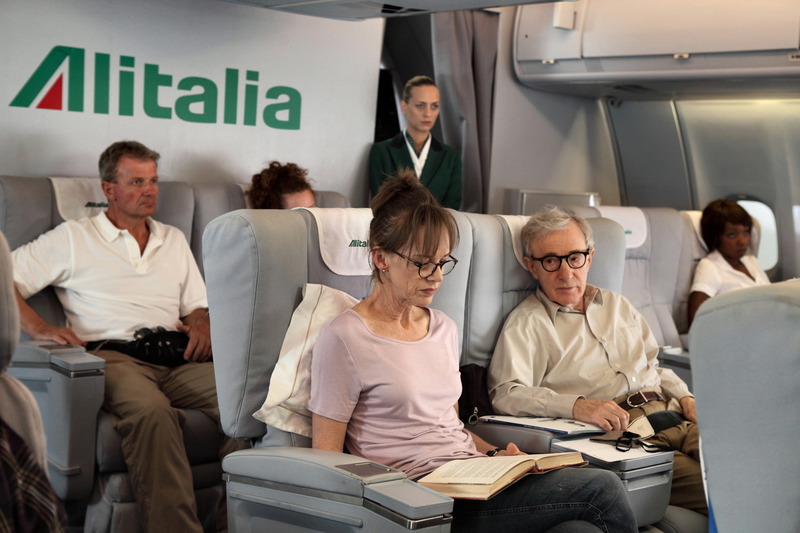 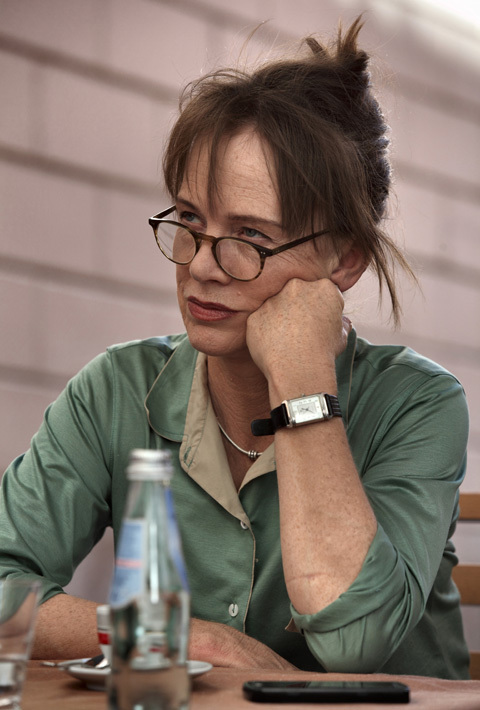 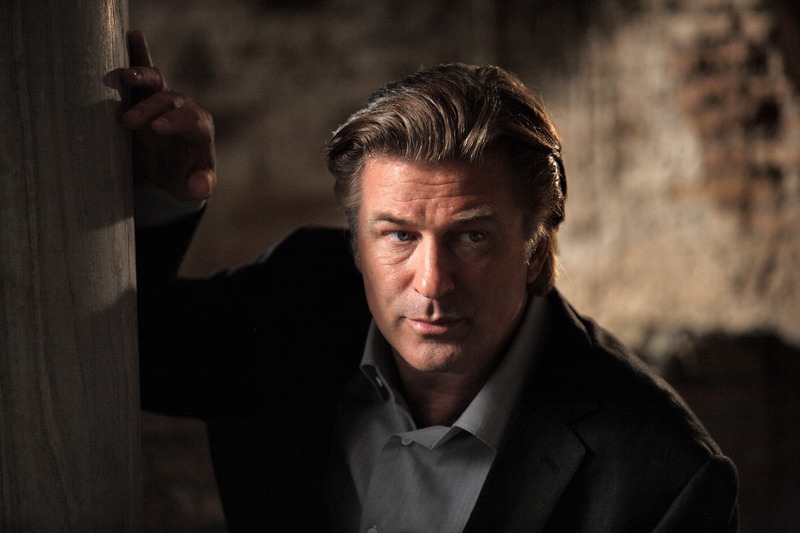 It is Penelope Cruz’s second Woody Allen film (her first was Vicky Cristina Barcelona), Alec Baldwin’s second (Alice) and Judy Davis’s fifth. 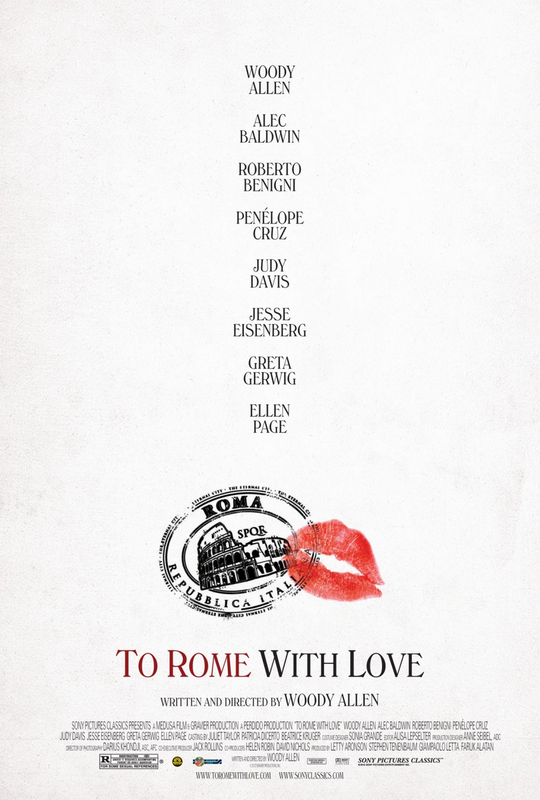 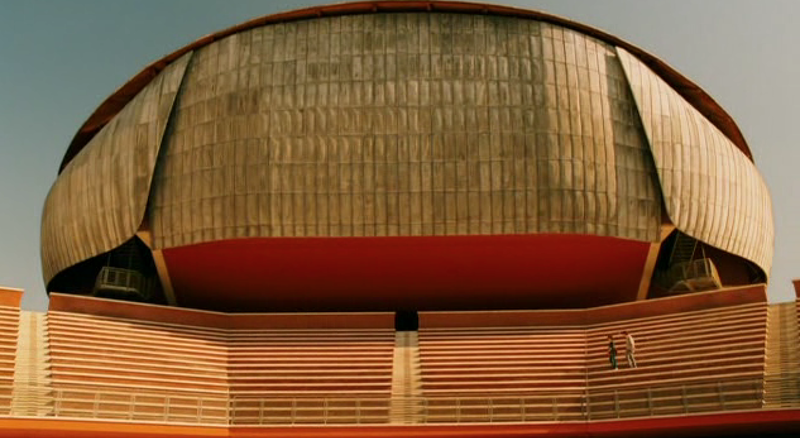 “To Rome With Love” was filmed in Rome, of course. 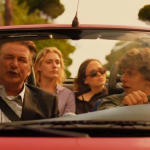 The traffic cop tells us about his day at Piazza Venezia. 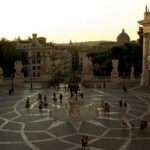 The Monument of Vittorio Emmanuele II is seen in the background. 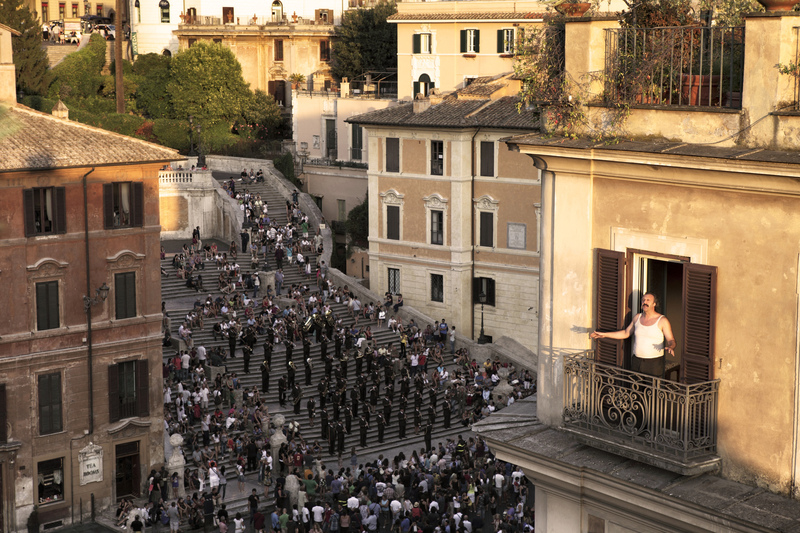 Hayley meets Michelangelo at Via del Teatro di Marcello near the cordonata leading to the Piazza del Campidoglio. 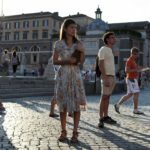 Michelangelo takes Hayley to the Trevi Fountain (Piazza di Trevi). 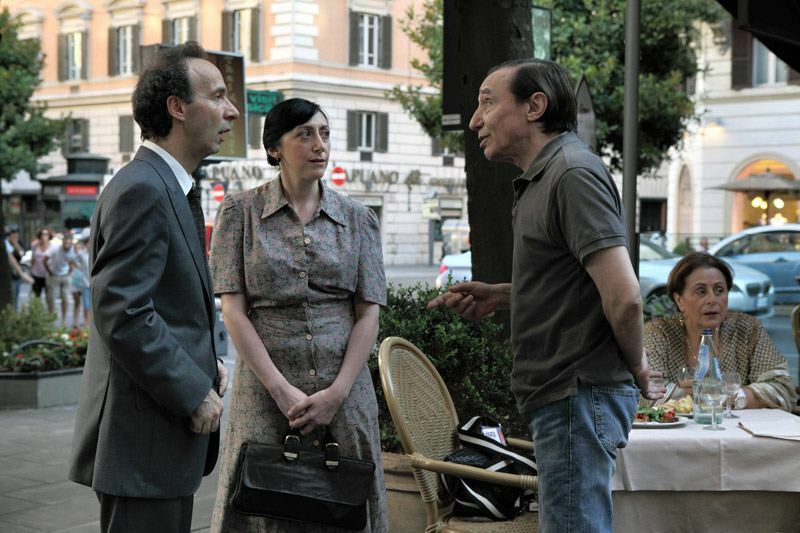 John Foy with his wife and friends at Caffè della Pace (Via Della Pace 3-7) near Piazza Navona. 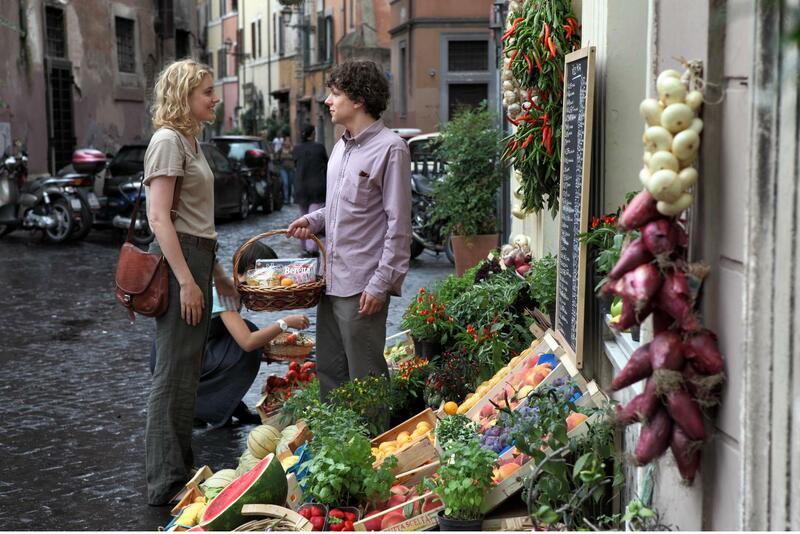 John walks through Via Margutta, a street made famous in ‘Roman Holiday‘. 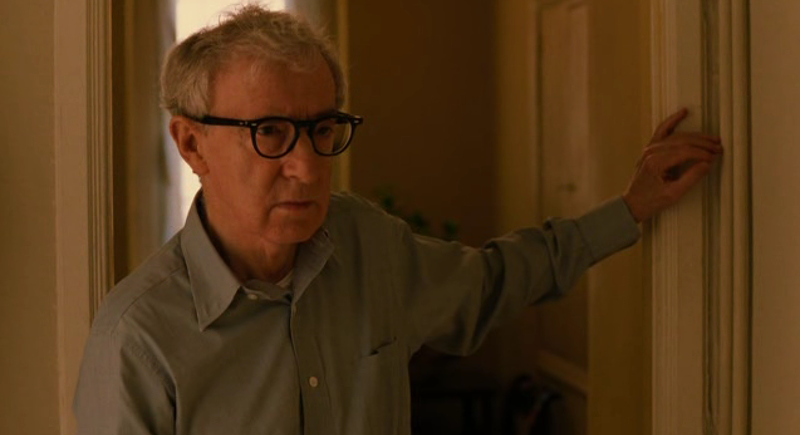 His character lived there when he was younger. 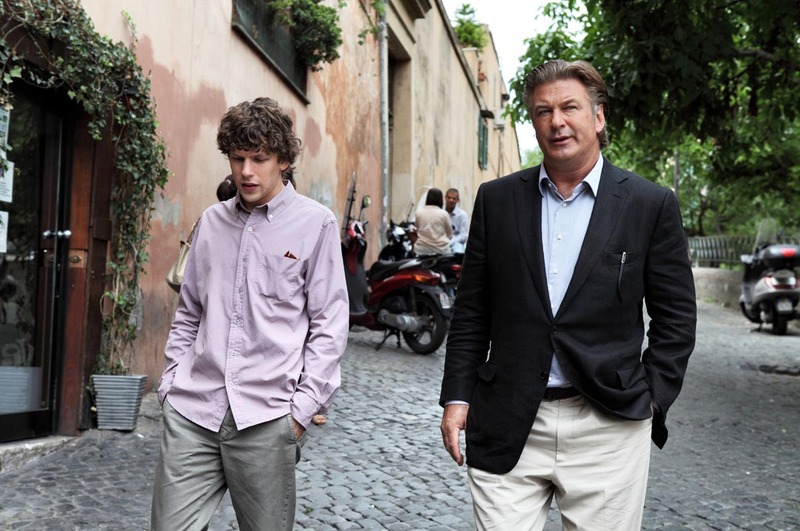 He meets Jack on the corner of Via della Scala and Via Giuseppe Garibaldi. 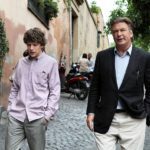 Leopoldo apartment – Via di Villa Belardi 17. 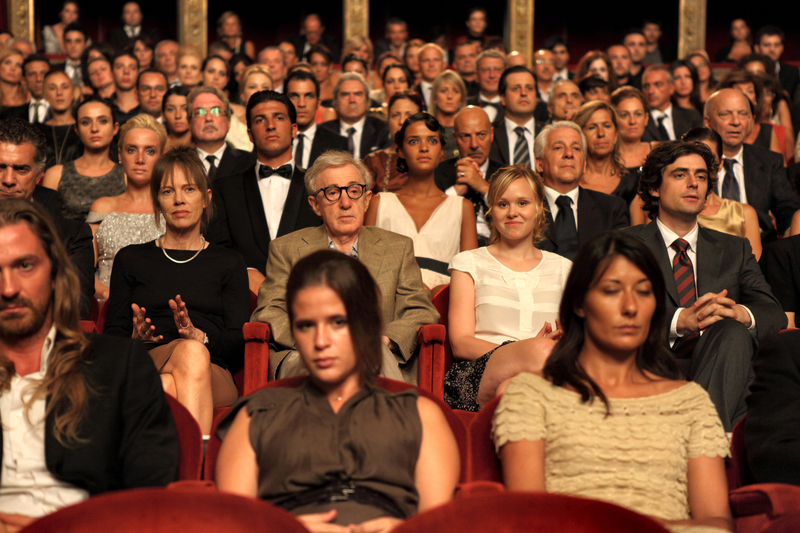 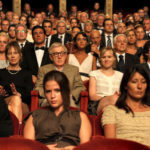 Leopoldo and friends see a film at Cinema Farnese (Piazza Campo Dè Fiori 56). 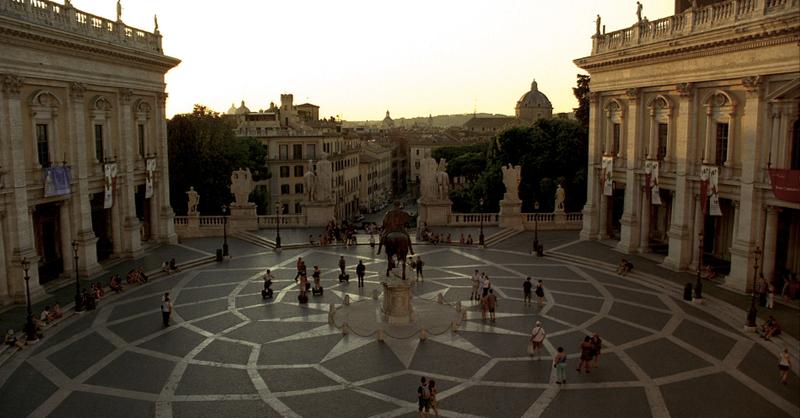 Milly is lost in a 360 degree shot at Piazza del Popolo. 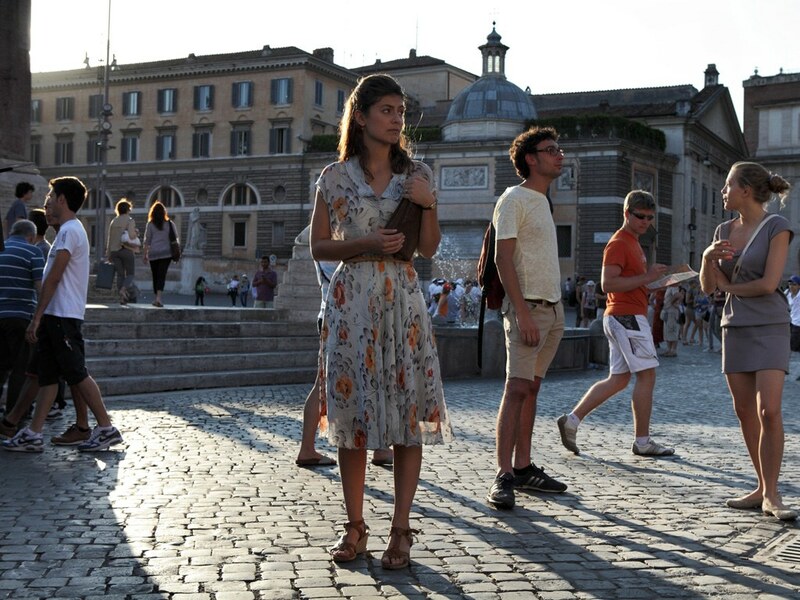 Milly is still lost at Fontana delle Tartarughe (Turtle Fountain), Piazza Mattei. 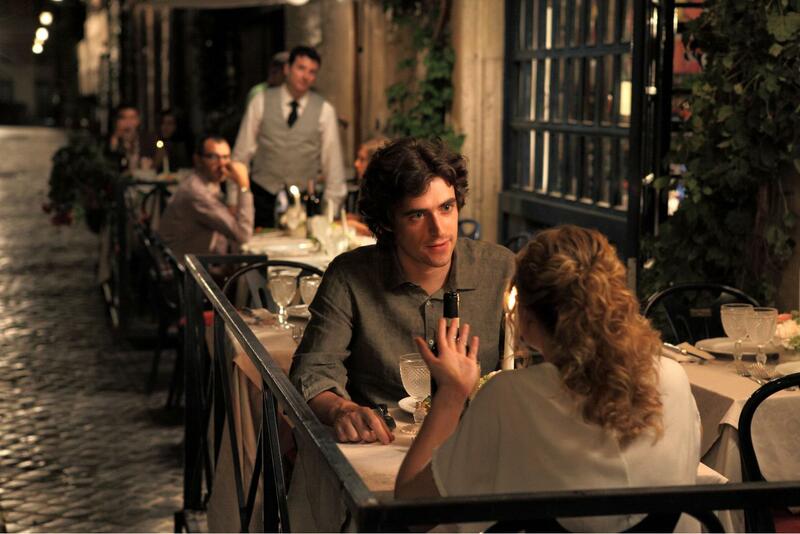 She meets Lucas there. Jack and Monica go through a tourst tour of Rome, including the Piazza del Campidoglio, The Colosseum (as seen from Via dei Fori Imperiali) and Music Auditorium (Viale Pietro De Coubertin 30). 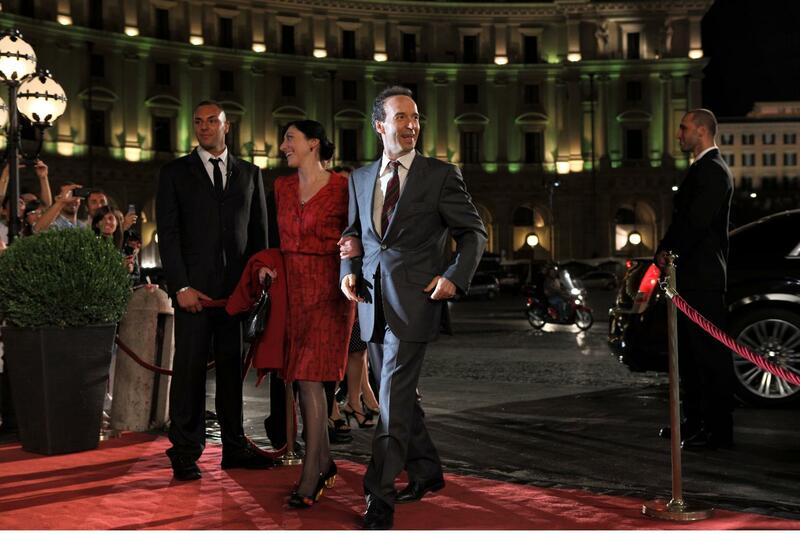 A famous Leopoldo and wife arrive at a party at The Space Cinema Moderno (Piazza della Repubblica). 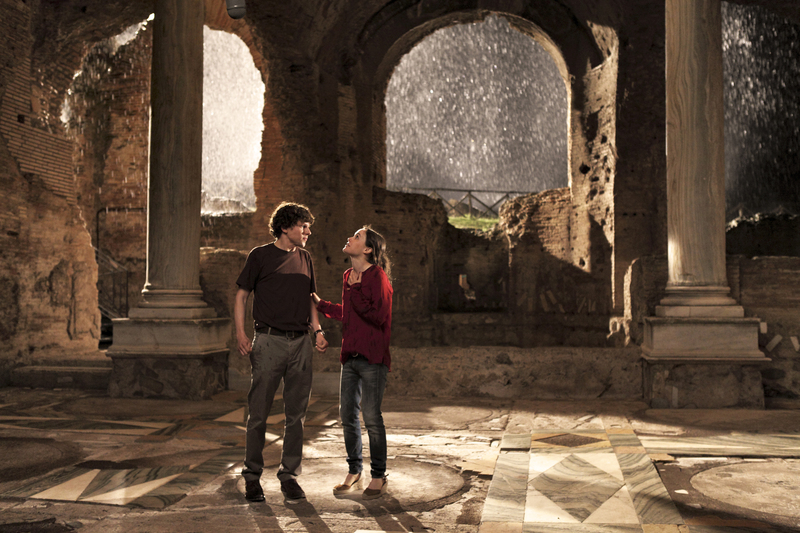 The Fountain of the Naiads is also seen. 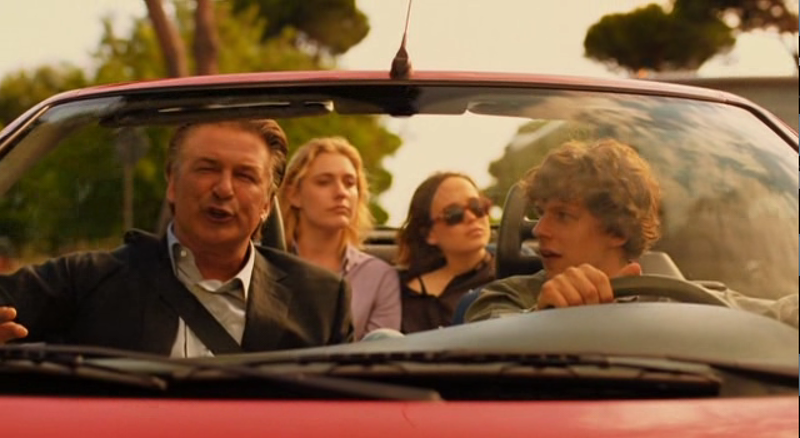 Jack jogs past Porta Settimana. 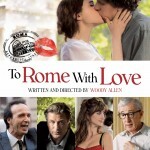 Jack and Monica’s kiss from the poster at Villa Borghese Gardens (Largo Pablo Picasso). 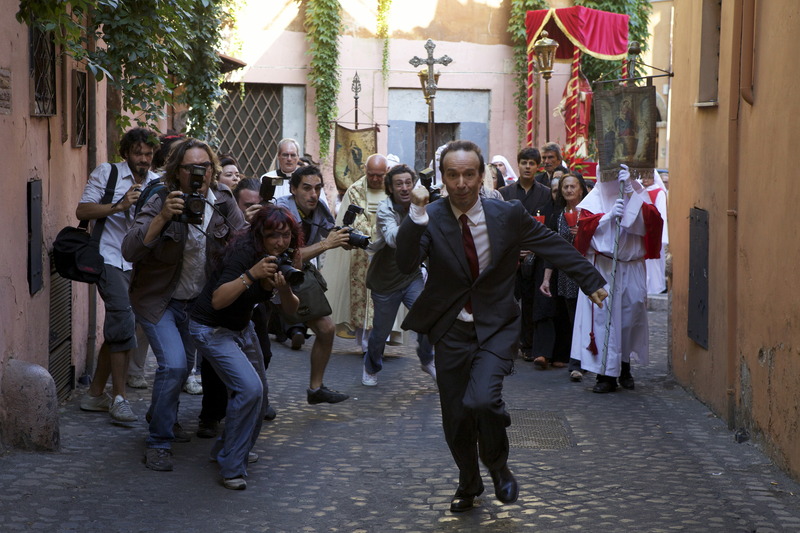 Paparazzi discover a new person to paw over at Via della Vite 33. 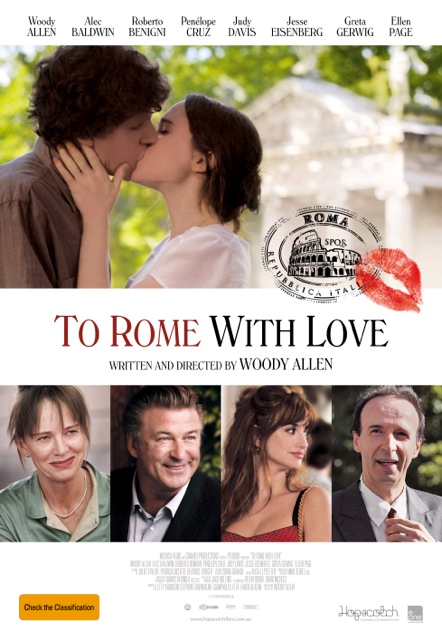 Monica breaks hearts on the pier, at La Vecchia Pineta Restaurant in Lido di Ostia, a coastal area outside Rome. 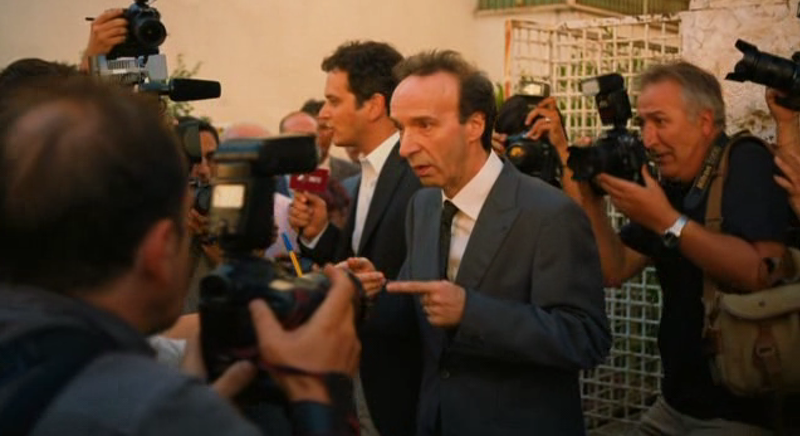 Leopoldo rants and raves on Via Vittorio Veneto near Via Lombardia. 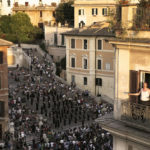 Finally, the band plays on The Spanish Steps, Piazza di Spagna.